“Privacy Protection” is the basic principle of NTS. With its strict information management system, any information our clients and partners supplied will be treated in strict confidence. Besides that, NTS will ensure that those information will be only used for data management and sale management. Publishing Information: If you submit any information to Ntsmart.com to be published on the Site through the publishing tools, including but not limited to Company Profile, Product Catalog, Trade Leads, TrustPass Profile and any discussion forum, then you are deemed to have given consent to the publication of such information so long as they do not pertain to personal information ("Publishing Information"). Payment Information: If you establish a credit account with us or our providers or if you purchase a product or service from Ntsmart.com or other Registered Users of the Site or other vendors available through the Sites, we may collect additional information, including billing information, credit card numbers and expiration dates and tracking information from cheques or money orders ("Payment Information"). Account Activities Information: We record and retain the records of your Account activities when you use the Ntsmart.com services. If you make sale and purchase transactions online through Ntsmart.com’s web-based transaction platform including sub-websites services, we also collect information related to such transactions including the types and specifications of the goods, pricing and delivery information, any trade dispute records (“Account Activities Information”). Registration Information: We may use your Registration Information to provide services that you request or to contact you regarding additional services about which Ntsmart.com determines that you might be interested. Specifically, we may use your email address, mailing address, phone number, mobile number or fax number to contact you regarding notices, surveys, product alerts, new service or product offerings and communications relevant to your use of our Site. We may generate reports and analysis based on the Registration Information for internal analysis, monitoring and marketing decisions. Publishing Information: All of your Publishing Information will be publicly available on the Site and therefore accessible by any internet user. Any Publishing Information that you disclose to Ntsmart.com becomes public information and you relinquish any proprietary rights (including but not limited to the rights of confidentiality and copyrights) in such information. You should exercise caution when deciding to include personal or proprietary information in the Publishing Information that you submit to us. Payment Information: Ntsmart.com will share your Payment Information with banks or vendors relevant to the transaction in order to enable transactions to be completed. In addition, Ntsmart.com may use Payment Information to determine your credit-worthiness and, in the process of such determination, Ntsmart.com may make such Payment Information available to banks or credit agencies. While Ntsmart.com has in place up-to-date technology and internal procedures to guard your Payment Information against intruders, there is no guarantee that such technology or procedure can eliminate all of the risks of theft, loss or misuse. Ntsmart.com shall not be liable to you or any other person for any damages that might result from unauthorized use, publication, disclosure or any other misuse of Payment Information, including credit card information. We may publish records of complaints and any penalties, actions or proceedings against Members. We further reserve the right to disclose your Collected Information to relevant authorities where we have reason to believe that such disclosure is necessary to identify, contact or bring legal action against someone who may be infringing or threatening to infringe, or who may otherwise be causing injury to or interference with, the title, rights, interests or property of Ntsmart.com, our Users, customers, partners, other web site users or anyone else who could be harmed by such activities. You can access, view and edit your Registration Information, Publishing Information and Payment Information (if any) through your Account with Ntsmart.com. 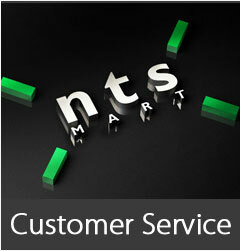 Enter your email address to get NTS news, special offers and latest products information.